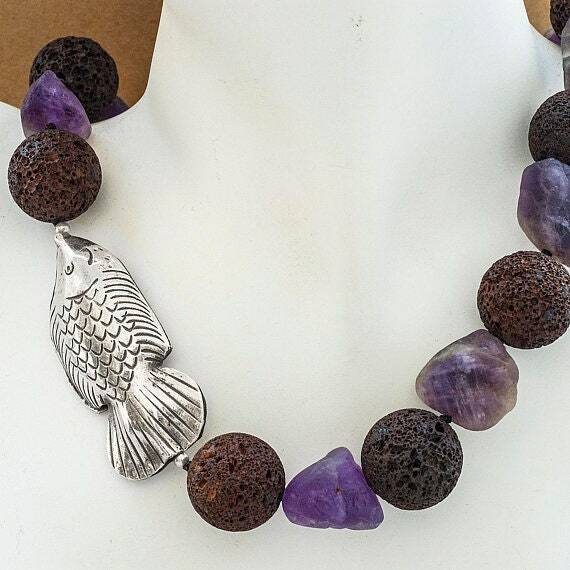 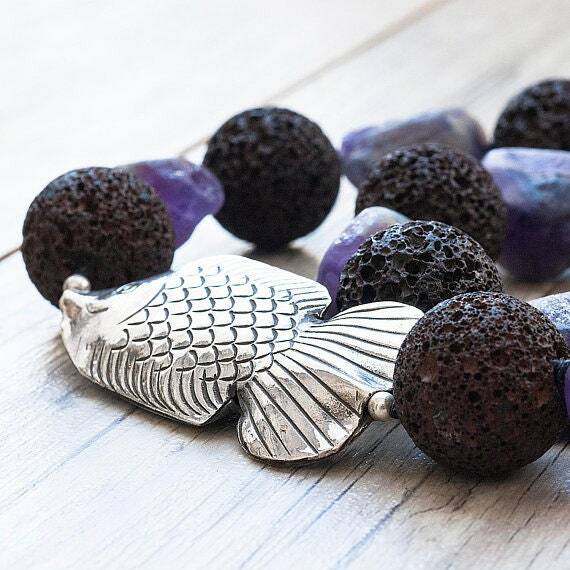 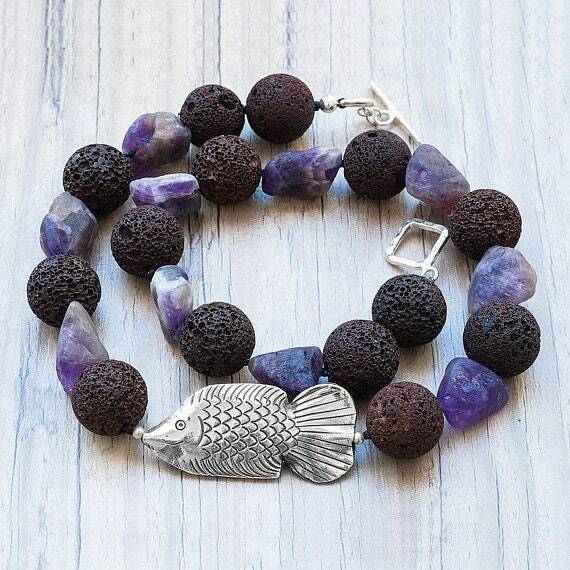 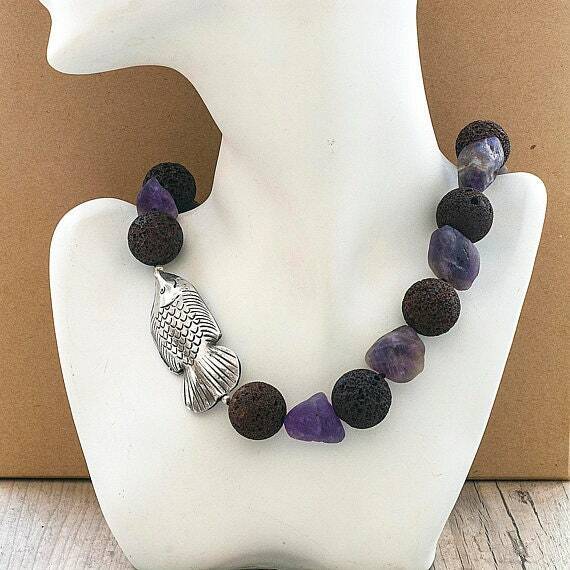 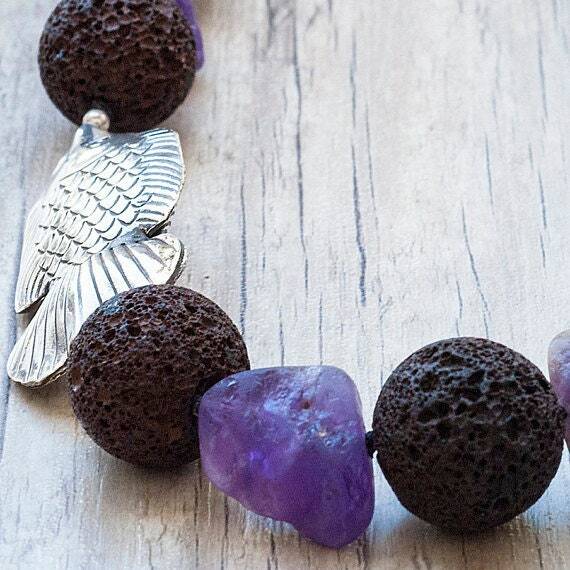 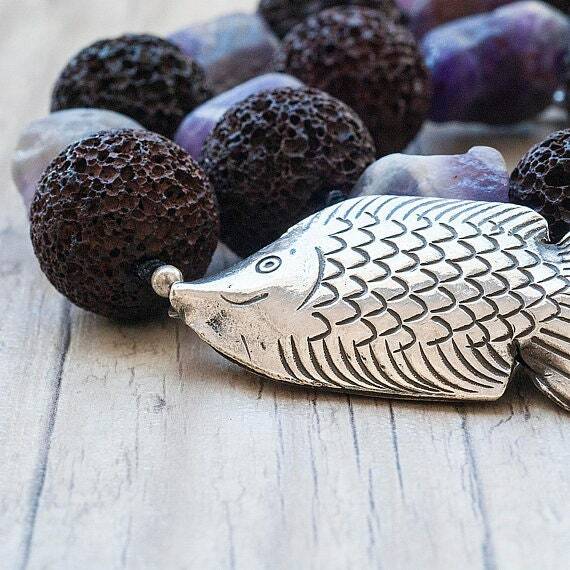 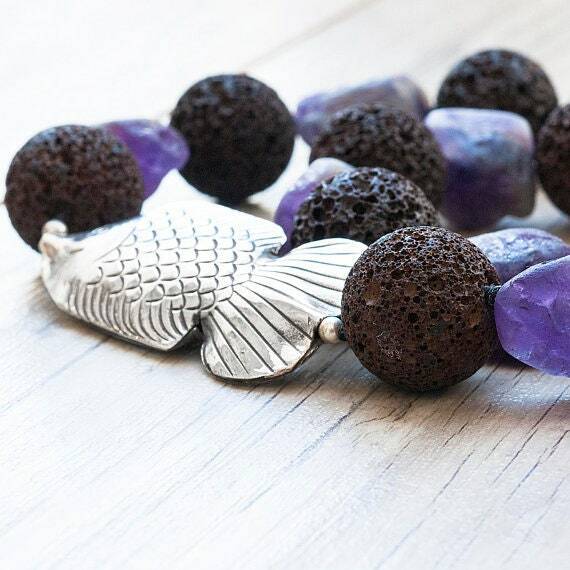 Hand-knotted statement necklace with dark brown natural lava stone beads, raw purple amethyst gemstone beads, and a handmade sterling silver big fish. 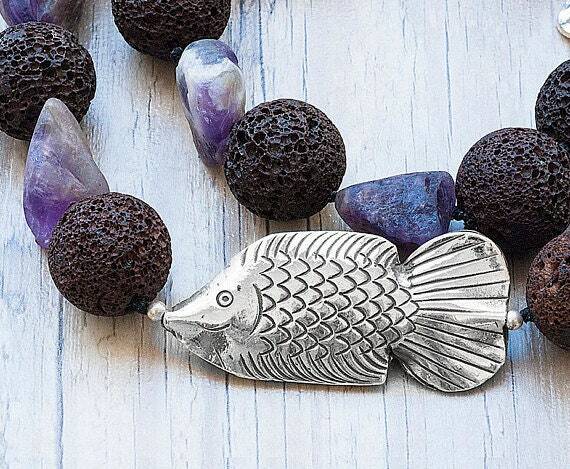 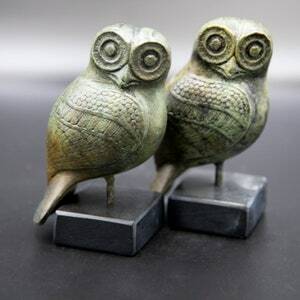 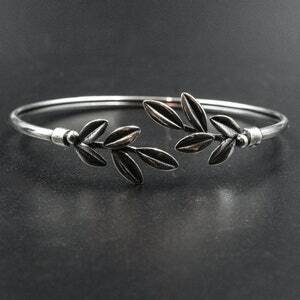 A unique necklace gift for her. 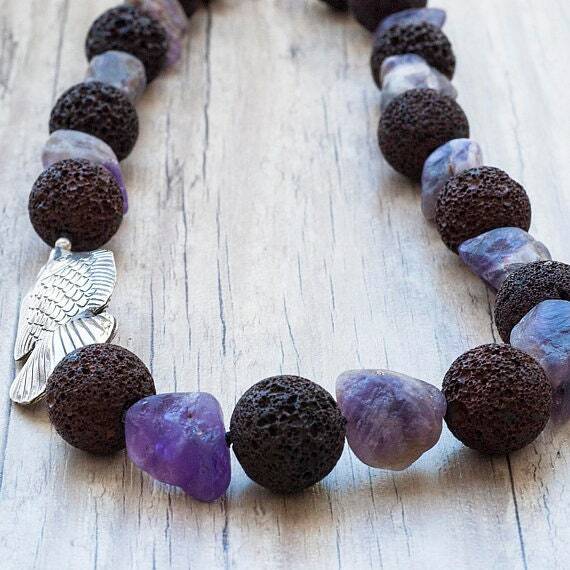 Purple raw amethyst beads 0.74 inches / 19 mm approx. 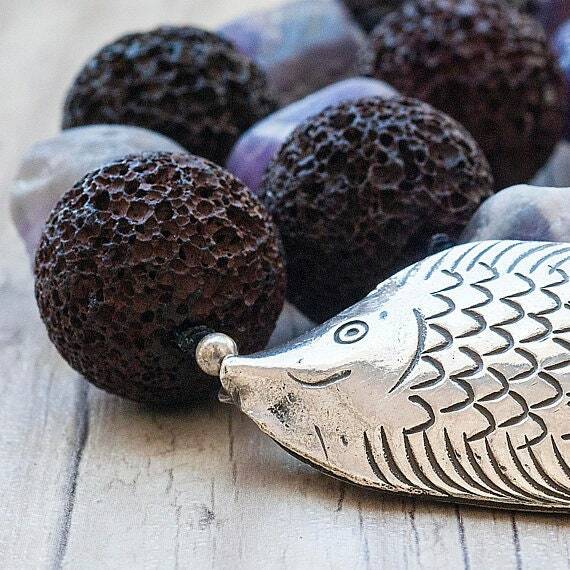 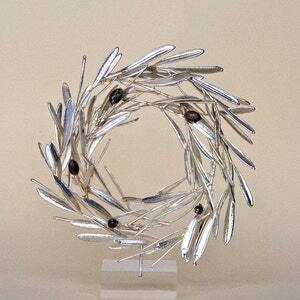 Hammered handmade sterling silver toggle closure.